I have never yet met a person who didn’t want to make a difference. A difference they deem as positive. 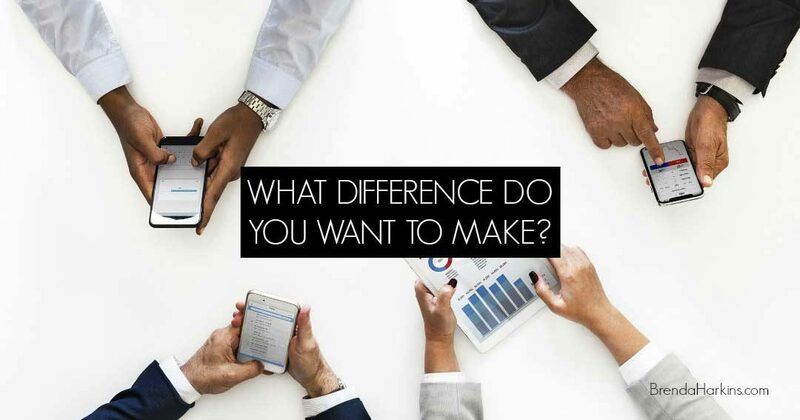 Some want to make a difference in technology, some in music, entertainment, business, world health…and still others in individual people’s lives. Whatever our “difference desire” is, that desire to make a difference for the better is built into our DNA. Why do you think that is? Think of the billions of people on this planet. If each one was making a difference in a positive way, how might our world change? In our humanity, we are linked. We are linked together in our humanity, and my faith tells me we are also linked together in the image of God. Granted, those links are often distorted, unrecognized or rejected. But they are also redeemable. I believe that to be true. We may differ in religion, politics, and cultural norms… but in our humanity we are linked. We were all born. We all suffer, some more than others. We all overcome, some more than others. And we all die. Those things we share. So I see a pattern that repeats itself in every society, every industry, every family. It is in linking our overcoming to someone else’s struggle that we make the most difference. We can do small things with great love. Don’t let your inability to see how you can make a huge difference keep you from making one at all. YOU can make a difference today! How will YOU make a difference today? What is one way? Big or small? I would love to hear from you! Let’s celebrate that difference together, along with the effects it may have that far surpass what we might ever imagine. To receive brief, once-a-week encouragement, sign up for my blog posts here. I'll send you my eBook, Being a Leader Others Trust and Follow, for Free! Almost Finished! Check Your Email to Confirm! Your contact information is safe - we will not share it or spam you! Brenda Harkins mines the gold in people to help them clearly see their talent, identify their purpose and unleash potential to navigate their unique success. Brenda is a Life and Leadership Coach in her own organization, as well as with The John Maxwell Team and CoreClarity. 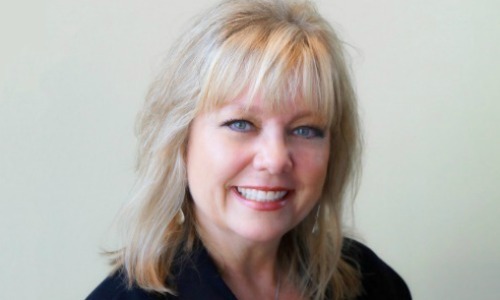 She is a Public Speaker, Author, Mediator, Entrepreneur, and President of The Harkins Group, Inc. You can connect with Brenda at brenda@brendaharkins.com or find out more at https://brendaharkins.com. A Fresh Look at Being Busy: Make 2019 work FOR you! Jeannene Cox on Is It Important? Get free tips on life, leadership, relationships, courage and more...along with my free e-book, Being a Leader Others Trust and Follow.